If you’re looking out for some serious amusement we recommend that you pay Mr Green a visit. This week – just like every other week at this online casino – it’s all about 100% fun. We’re waiting on summer and sunshine and we know it’s just around the corner. Dance away the rain at Mr Green because it’s foggy from free spins, cash drops and winnings. First off we would like to introduce the video slot called DJ Wild from ELK Studios. Mr Green offers you the chance to win cash prizes during the next couple of days. After the 7th of May the casino will have a final with 140 players – 20 of them will win a random cash prize. All you have to do in order to participate is to play DJ Wild and fill the reels 1, 2, 4 and 5 with WILD symbols. By doing so you will earn points to the leaderboard. Hopefully you will end up a winner. Like always the cash prizes at Mr Green are free from wagering requirements! 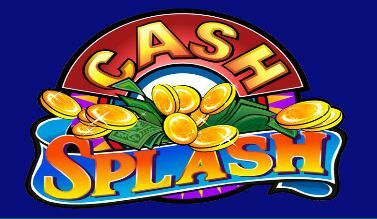 Another great campaign is up and running at Mr Green and this one is called “Cash Splash” for a reason. Until the 17th of May you will be able to get tickets to a big raffle with a prize pool of £15 000! During the promotion you will be able to play the selected slots – Sugar Pop, Rook’s Revenge and The Slotfather II. For every 25 rounds you play with at least £0.20 per spin you will get a ticket. On the 19th of May Mr Green will draw 25 winners and one lucky player will get the 1st prize with £6000! As you probably already know it’s time for the Champions League final soon. Mr Green will give you the chance to win tickets for two persons to Cardiff where you will witness the whole thing! Make sure you visit Mr Green daily between 18:00 and 20:00 CET until the 7th of May if you want to compete about the prize. By finishing in top of the leaderboard in Reel Thrill tournaments you will claim points. The higher you end up on the leaderboard the more points you will get. The prize includes tickets to the Champions League final 2017 in Cardiff on the 3rd of June as well as hotel, flights, dinner and so on. Last but not least we want to give you a heads up about the free spins offer at Mr Green this weekend. Between the 5th and 7th of May you will be able to make a deposit and get up to 60 free spins on the new slot Ultimate Dream. If you deposit £20 you will get 10 spins, if you deposit £40 you will get 25 free rounds and if you deposit £80 you will receive 60 free spins! Make sure you wager your deposit – otherwise you won’t get your well-earned bonus spins.